Are you one of those people who always follow the same route to work, every day, for years? I am. Yes, I know it’s boring, but it’s a habit, it’s intuitive, and I can drive without thinking too much about it. And to be honest, while there may be better, faster ways for me to get there, I feel comfortable taking that same route. What about when you hire a car in a country where you have to drive on the “wrong” ( opposite) side of the road? How do you handle that? To be frank, over time I have gotten used to it, and coming from a left-hand side of the road country, it’s more common than not for me when I travel. But that doesn’t mean it was easy when I started. The worst time is when you have stopped for gas, and you are pulling out onto the road…hmmm. And, I have only been pulled over twice in the US, which maybe says I am a slow learner. Or rather was it that I’m just not a very good unlearner? These days we have so much going on in our lives that the unlearning often gets lost along the way. Like how often does a new operating system, or a new version of your favorite software or app drive you spare because you no longer feel comfortable with the new changed interface? It’s all just become part of the letting go and relearning that we are consistently required to do in our lives. So what about the unlearning we have to do in our professional lives? Let’s start by asking just how good an unlearner are you? 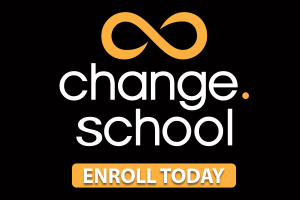 You see, if we are serious about school change, then we have to be serious about unlearning. And we know one of the biggest challenges facing any organizational change is resistance to new ideas, new concepts, and a new perspective of how to do what we do better. The “regularities” of that culture—patterns, rules, and procedures that are mostly unseen and assumed—tend to undermine the basic purposes of educating our youth. These regularities are what might be called “ways of doing business in school.” They are rarely questioned, but to an alien observer …they seem curious, irrational, and counterproductive to the announced mission of schools. Among such regularities are the absence of most parents from active participation with the teacher in guiding their child’s learning, and the fact that the school building bustles with activity for six hours a day, five days a week, and then is largely abandoned for any academic purpose. These regularities are not immutable “laws of nature,” nor are they the result of the careful assessment of the efficacies of practice. They persist because they go unexamined and unchallenged (“But we’ve always done it that way!”). Only when we uncover such regularities can we decide whether they serve our purposes as educators. As he says, “that’s the way we have always done it!’ Well, maybe you shouldn’t do it that way anymore? We seem to take so many of these ‘regularities’ for granted and in the process fail to challenge their veracity. What is the point of isolating subject domains, grouping students by birth date, and scoring everything that moves, just for starters? And yet, those are the practices we have learned, and that it is what is accepted as standard practice. In the area of organizational design, we are seeing an evolution from formal hierarchies to fluid networks. But this requires a substantial amount of unlearning. Our instincts are to think of an organization as an org chart. We automatically escalate decisions to the boss. We often hear (people) talk about being “more networked,” but what they really mean is collaborating across the silos. To truly become a networked organization, you need decision principles that create both alignment and autonomy. But this requires unlearning in the areas of management, leadership, and governance. We operate with mental models that have grown outdated or obsolete, …we have to unlearn the old one. Unlearning is not about forgetting. It’s about the ability to choose an alternative mental model or paradigm. Modern schools today are looking for decision-making that is shared through flatter leadership structures and Guiding Coalitions which are in sharp contrast to traditional school leadership hierarchies. So what unlearning does this require? Well, it’s not a one-way street. In the first instance, it requires principals to let go of legacy mental models of leadership, but it also implies added responsibility for those faculty who will now share in the decision-making across the school. This is in stark contrast to the more compliant role they had as teachers, which they will have to quickly unlearn if they are to be effective in this new position. On the other hand, it’s about leadership that is about being open to new ideas, and being more vulnerable about sharing their thoughts openly with faculty. So, this is where the big steps need to be taken and have to be sensitive to just how big they are. Big steps in letting go, unlearning, and big steps as we learn, practice, learn and relearn new ways of doing things that we haven’t done before; that we aren’t familiar with, and which, at first, feel strange and uncomfortable. But that’s what it takes. It’s about taking risks, which is only possible when there is a partnership between teacher and leader, where the leaders provide permission and protection, while the teacher reaches outside their zone of comfort and familiarity to find new places and new practice that supports modern learning. It may be related to shared practice, peer observation or peer feedback, all of which can be challenging to the traditions of the lonely artisan in a classroom, but which today are underpinning some of the most impactful learning environments that teachers are creating. All of this is a tough ask for many educators because so much of school life is about routine, familiar processes and practices which allow you to become very comfortable with your craft. As an educator, you might ask yourself, how can I be more open about my practice, about my fears about changing my practice or more critically, about fear of not doing it well…of failing? How do I unlearn years of believing that being right matters, rather than doing the “right thing”? But it’s about exposing yourself and who you are as a learning professional, and that is only ever possible within a culture of trust. And the really tough part about all of this? It’s unpredictable. It’s unpredictable how the kids will react, it’s unpredictable how your colleagues will respond, and again most crucially, it’s unpredictable how well you will do. Organizations are “social systems in which people have norms, values, shared beliefs, and paradigms of what is right and what is wrong, what is legitimate and what is not, and how things are done.” These “forces for conservatism” support the status quo and discourage both dissent and innovation. So if we’re serious about serious change, we have first to understand and acknowledge these influences and provide support for the necessary shifts in thinking that serious change requires. Unlearning is what helps make such shifts possible. To be better at unlearning we have to start with awareness. We need to be more conscious of our need to unlearn, and then from that comes the opportunity for practice. 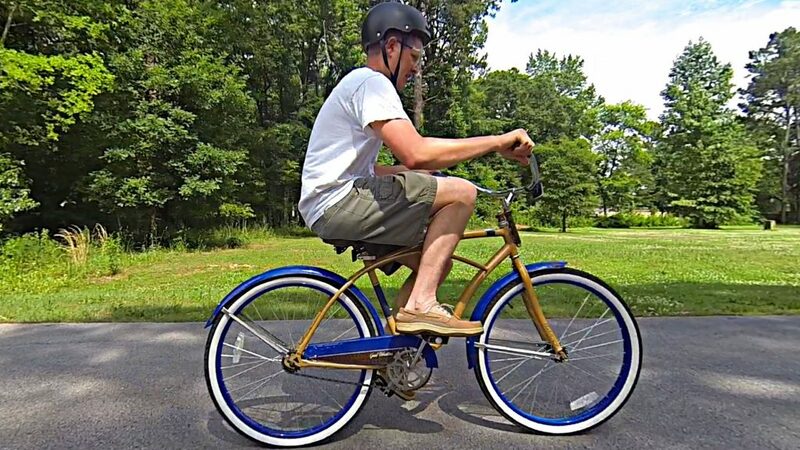 Fortunately, there are many times in our daily lives when we can practice unlearning…though maybe not quite as diligently as Destin Sandler does on his “backwards bicycle”. And finally, to keep your learning on track, it’s always healthy to seek conversation and dialogue with people whose opinions might be different from your own. Gayle Allen recently released an excellent podcast on this topic in her discussion with Scott Page on the Power of Diverse Teams. How very right he was. I think it’s time I thought about a different route to work. ← Will Skills Save Us? In one of our PLC studies we read Shaping School Culture and one of the things I strongly remember was how hard it was to change an institutions culture. Culture is made of people and rarely if ever will half of a school staff be replaced in a single or, even a few, years and people are what create and carry the culture. The school I taught at was less than 10 years old when I began my career nearly 40 years ago. Average tenure was 7 years at the time and is now something like 17. But that culture that started that school, literally out of a marshy spot in a corn field has endured. Fortunately, that culture is one that strives for excellence. Anyhow, making my point, will it be easier to institute meaningful change as more and more of the baby boomers roll out of education and younger generations with different ideas replace them? Seems like an opportunity that may never come along again!